The 49th Meeting of ASEAN National Tourism Organizations (NTOs) was successfully held from 14 to 15 January 2019 in Ha Long City, Viet Nam, on the occasion of the 38th ASEAN Tourism Forum (ATF). 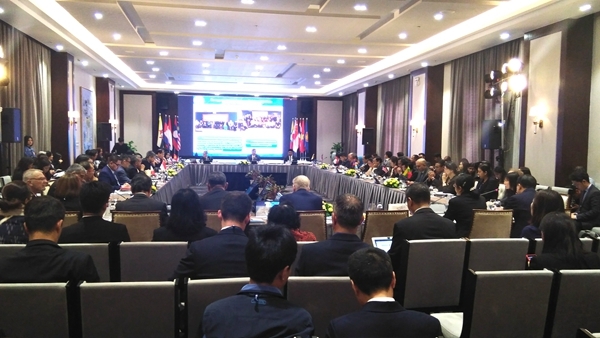 The meeting, co-chaired by Viet Nam and Brunei Darussalam, brought together around 100 participants including leaders and officials of ASEAN NTOs, ASEAN Secretariat, ASEAN-China Centre (ACC), ASEAN-Japan Centre, ASEAN-Korea Centre, international travel associations and tourism organizations. In his opening speech, H.E. Mr. Nguyen Trung Khanh, Chairman of Viet Nam National Administration of Tourism (VNAT), Ministry of Culture, Sports and Tourism of Viet Nam, highly commended tourism cooperation between ASEAN and China, Japan as well as the Republic of Korea (ROK), and the active role and efforts of the ASEAN Centres to promote trade, investment, tourism and education cooperation as well as people-to-people and cultural exchanges between ASEAN and the three countries. He said the meeting of ASEAN NTOs is an important occasion to review the past achievements, solicit recommendations from all ASEAN Member States on how to efficiently foster regional collaboration, and share relevant updates, experiences and new directions on tourism. The Chairman of VNAT hoped that all parties would maintain the momentum of cooperation and jointly promote ASEAN as a single tourism destination so as to contribute to the success of the ATF Viet Nam 2019 with the theme of “ASEAN-The Power of One”. During the meeting, Ms. Kong Roatlomang, Director of Education, Culture and Tourism Division of ACC gave a detailed presentation focusing on the role of ACC as a one-stop information and activities centre to promote practical cooperation between ASEAN and China. Director Lomang shared the latest ASEAN-China tourism figures, key achievements and completed tourism activities in 2018 as well as work programme of ACC in 2019. The participants appreciated the valuable information ACC provided, and applauded ACC’s achievements in the field of tourism cooperation. Throughout the meeting, the participants discussed upon a range of issues on tourism, including destination marketing, tourism products, thematic routes, tourism investment, service standards, infrastructure connectivity, destination infrastructure, travel facilitation, community and private sector participation, tourism safety and security, heritage protection, environmental protection and climate change. The “sustainable tourism” was one of the hottest topics during the meeting. 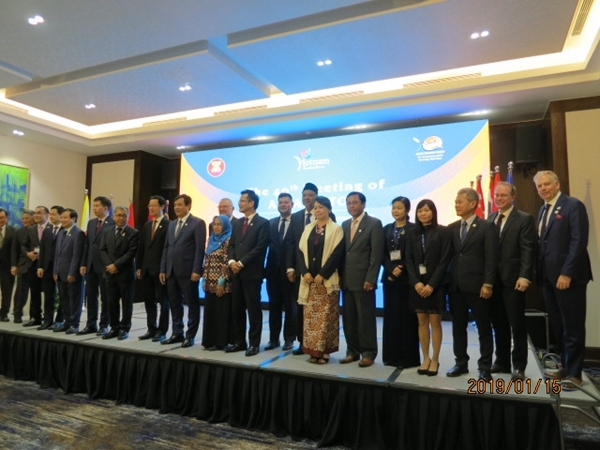 On 16 January, ACC representatives also attended the 34th Meeting of ASEAN Plus Three NTOs and exchanged views with ASEAN NTOs and relevant delegates on further promoting people-to-people exchanges and tourism cooperation. Mr. Peng Shituan, Cultural Counselor of the Embassy of the People’s Republic of China to the Socialist Republic of Vietnam, senior officials from Japan and Korea, were present at the meeting. Established in 1981, the ASEAN Tourism Forum (ATF) is a regional cooperative mechanism to promote ASEAN as one tourist destination. This annual event involves all the tourism sectors of the 10 ASEAN Member States: Brunei Darussalam, Cambodia, Indonesia, Lao PDR, Malaysia, Myanmar, the Philippines, Singapore, Thailand and Viet Nam. Each year, the chairmanship of ATF is rotated among the 10 AMS. Besides the fore-mentioned two meetings, other main activities were held during the ATF 2019, including the 22nd Meeting of ASEAN Tourism Ministers, 18th Meeting of ASEAN-China, Japan and Korea Tourism Ministers, 7th Meeting of ASEAN-India Tourism Ministers, ASEAN Tourism Awards 2019 and TRAVEX 2019.